I want to meet new penpals! Do you? 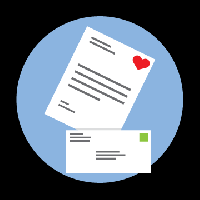 Write your partner a two-page intro letter! That's it! All 1 and 3 ratings must have a response from you in the rating demonstrating you made an effort to resolve the problem. You must have at least 5 rated swaps. Even though it says US in the title in the description it says international ? THANKS for organizing this swap!